Top 5 Honeymoon Destinations in Kerala! 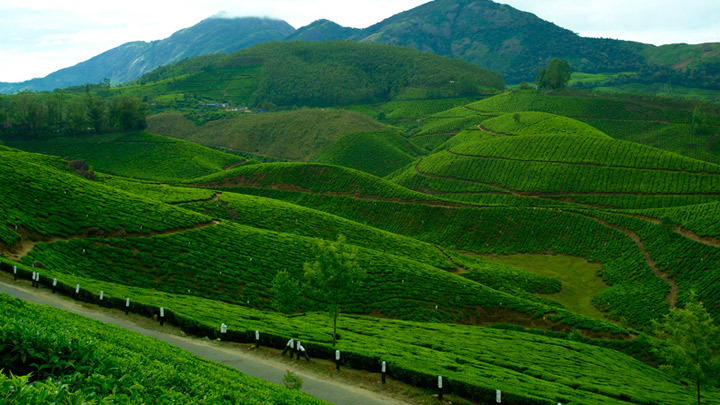 Munnar is definitely a beautiful place that arouses the romance in honeymoon couples. But it is as much loved by the adventure enthusiasts too. There are some amazing destinations where you can get dissolved in nature and be a part of it without a hint of technology. Visiting places such as Top station, Thommankuthu, Mattuppetty, and the tea gardens can be the most relaxing holiday plans for your Kerala Honeymoon Packages. But if you need some adrenaline rush, hire a bicycle and hit the road to explore the hills and valleys of Munnar. You can cycle through the winding roads on the tea estates early in the morning with your partner, to enjoy the most enchanting sunrise sceneries of your life. Similarly, do come here to try some trekking, camping, and forest safari to keep your adrenalin pumping. In fact, adventure tourism is the most trending aspect of holidays in the hill stations of Munnar and Idukki. So explore these too while you are in Munnar. 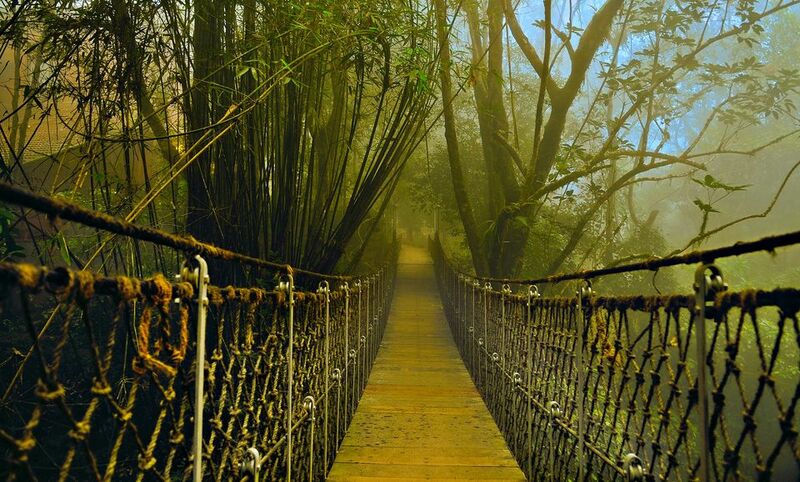 Thekkady’s tiger reserves and jungles are quite popular among the honeymoon tourists. 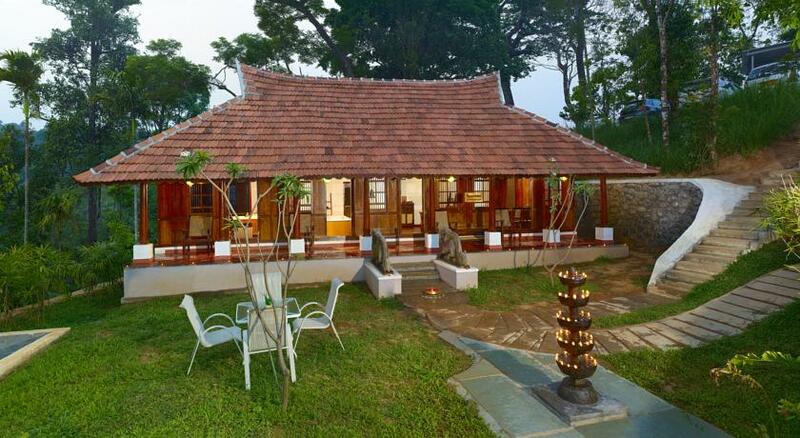 But the most interesting holiday experiences can be sought at the most beautiful plantations in Thekkadi. Otherwise, a visit to Thekkady will have hardly a day’s plan of boating at the Periyar Reserve and a jungle safari at the Tiger Reserve where you will some animals only if you are lucky. Instead, visiting a tea estate, coffee plantation or a vegetable farm will offer you a great holiday experience in Thekkady. Many tour operators offer amazing plantation tours now with a stay in secluded and romantic plantation resorts where you can enjoy some privacy amidst the stunning landscapes created by nature. You can even spend a couple of days exploring these plantations to the core. Allepey’s houseboats are quite famous among the tourists. What you must try out is to explore the smaller water channels of Allepey on small wooden canoes during your Best Kerala Honeymoon Packages. You will be stunned at the lush landscapes and villages that flourish around the waterways of Allepey. These people still use the canoes to travel around, trade and to transport goods from on village to another and are quite efficient in that. You can forget about traffic jams, dust, and heat while traveling through Allepey’s waterways. It is an experience which involves a little bit of adventure also as balancing yourself on the canoe is not an easy job! The best part of these tours would be that you can enjoy the hospitality of the friendly locals and taste some yummy homely food with fish and non-vegetarian dishes they offer. These are things you will definitely miss in the most luxurious houseboat cruises! Mararikkulam is about 100 kms from Kochi and near Allepey. Ranked as one of the top 5 beaches in the world, Marari beach is a must-visit which many couples miss out. So you mark this place in your honeymoon travel chart to enjoy the most tranquil beach in Kerala. The place not at all crowded and is very clean. You can opt to stay in one of the traditional resorts nearby that offer traditional Kerala food. These resorts are mostly built in typical Kerala architecture using a lot of wood and terracotta tiles for roofing. Do not miss the Ayurvedic clinics here that offer rejuvenating massages and wellness treatments that will leave you completely refreshed. People visit Kochi to have a lot of fun. There are a lot of modern entertainment options available in Kochi and it is the best place to shop for anything and everything under the sun! But I will tell you another reason to visit Kochi on your Kerala Honeymoon Tour Packages and that’s the variety of cuisine available here. Kochi has a lot of people who come from different parts of Kerala and they have brought with them their exclusive cuisines and flavors which you can relish in the specialty restaurants in the city. The city has some of the best restaurants in Kerala even though they cannot compete with the flavors of the Malabar region. We are familiar with the concept of ‘Swatch Bharata’ or otherwise, clean India. Indians is a prodigious land and it is the duty of every citizen to keep it cleans not for enhancing its beauty but also to preserve the legacy of many great personalities who fought to get our land back. In India, the famous and popular state, which had elongated its fame cutting the boundaries of many countries, Kerala the real Gods own country is the epitome of culture and tradition. To maintain up the purity of this God-given land, a great effort must be followed every day. We know the condition of cleanliness in Kerala but neglecting all these, more inflow of tourists are experienced every year. Tourism in Kerala alone is reaping more part of the revenue. The reason is that people coming from faraway places do respect the existence of the state and they value the traditions followed here. Even many traits are being exported to foreign countries for practicing. At the same time, we are here making our state untidy by erupting pollution and violating the rules more than that not even doing our duties daily. It is our responsibility to clean our state for welcoming guests same as we do in our own houses. With this concept, the responsible tourism has taken its form. The sole pride of Kerala tourism, Kerala backwaters is what which more needs care as, to witness its eminence lakhs of tourists are arriving yearly. They are really fond of booking any Kerala backwater packages to experience the charm of being inside a houseboat. At this point, it is our duty to maintain the cleanliness at these spots. This doesn’t mean that we must go to the destination and clean the garbage but at least, we can help ourselves to not make it untidy while we travel on these houseboats or during sightseeing. We often see in the advertisements that the Kerala backwaters are addressed as the fascinating Water world in the earth. What actually happens is that the public markets are masking the plastic rust and bio-waste in the area. Is that sound really pride for us? Definitely not, and we must conceive the fact that Kerala is our land. As the first step of responsible tourism initiative, the effort was to make the Vembanad Lake purged of garbage. Vembanad Lake is the artery through which the backwater tour progresses. Houseboats are the major medium of water transport on which tourists enjoy the panorama of the adorable water world. Since the geography of some destinations is such that the water levels of a backwater, as well as the village, are same, we can enjoy sitting inside the houseboat itself and to get a view of rural lives. These houseboats are fitted with all luxuries and comfort, perfect for a stay. Thus the increased demand for Kerala Houseboat package is experienced day by day. Since more inflow of tourists is experienced at these locations, Government has focused the introduction of responsible tourism at these places. By doing so it is mobilizing the support of each and every individual linked with the tourism. There was interaction will all stakeholders and sought their support. In an effort to create more employment for many locals involved in tourism directly or indirectly, now the concept of responsible tourism has expanded its mandate to cover the preservation of ecology and environment too. Since the concept stresses on the organic involvement at the local level, the objective can be achieved well. The coordination committee interacted with houseboat, motorboat and Shikara boat owners to lessen their pollution in water while conducting the tourism. They replied that it is not just them who are involved in degradation of the backwaters but other factors too. Also, their future lies with the health of these adorable wetlands. Thus by the joint effort, a committee named Vembanad Kayal Samyukta Samraksha Samithi was formed headed by a houseboat owner. This venture is focusing on the cleaning of the Vembanad Lake for which 5 lakhs rupees has been allocated. Even many resort owners are contributing towards it. Also, besides this effort for a cleaning drive, this group has appointed local units to manufacture paper and cloth bags in an effort to replace plastic bags. The Ashtamudi Lake, which is the gateway of backwater tourism, is also included in the list. We know that most of the tourists prefer houseboat rides and the income from these luxuriously cruising resorts many benefit some but concerning others, especially the rural households living on the banks of the waters. Actually, the poorly regulated houseboat tourism is the main reason that is indirectly affecting the ecosystem, fish species, and water qualities as well. Certain initiatives from the responsible tourism coordination can regulate this and there will be active participation of small local communities like Kudumbhasree, Karshika Samithi and all. Even the tour planners providing exotic Kerala backwater tour packages can help by active checking on the tourists arriving and regulating their activities without making them uncomfortable. Some norms must be followed once you are on a tour especially on preserving the ecosystem there. Kumarakom has successful, completion of responsible tourism concept and it ensured women empowerment, employment opportunities, and exhibition of local handicrafts and active rural tourism. It is with this pace, we all must progress and ensure a clean Kerala backwaters.